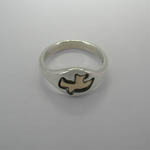 Desc: Sterling Silver and gold Dove ring. The flying dove is mounted at the apex and is fashioned from 14 karat yellow gold. 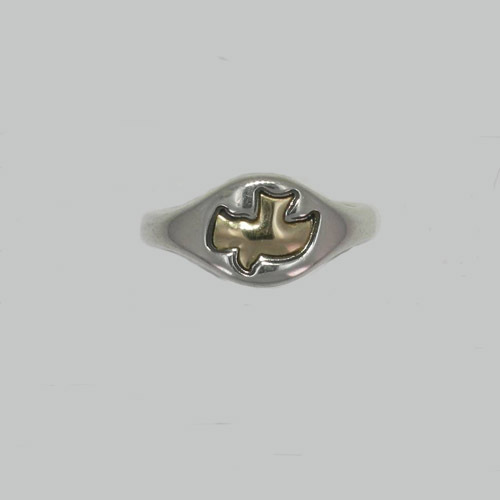 The ring is fashioned from Sterling Silver and has a bright polish finish.